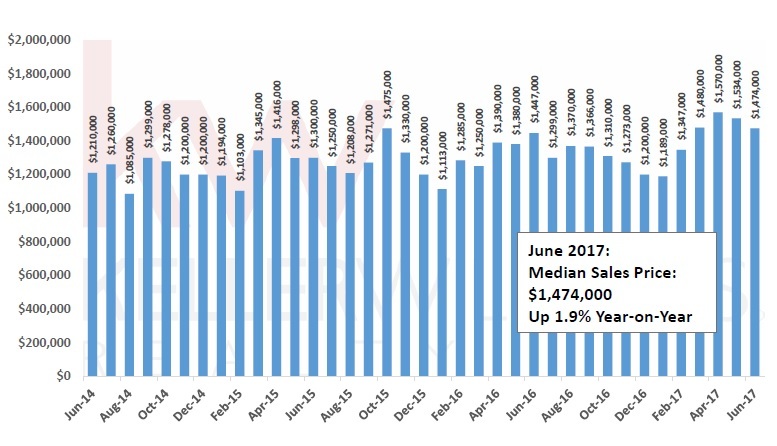 Southern/Central Marin’s single family home median sales price took a further step back in June from April’s peak, following May’s decline, ending at $1,474,000. 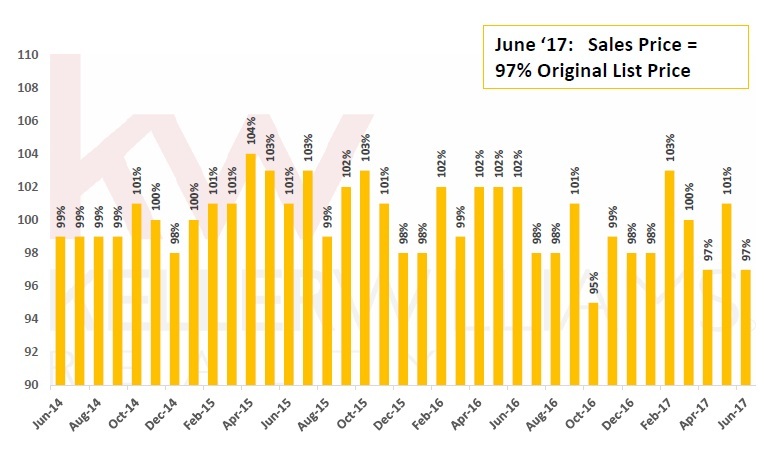 Single family homes sold at a median bid of 100% of median list price, also down from April’s 102%, but higher than last June’s 99%. 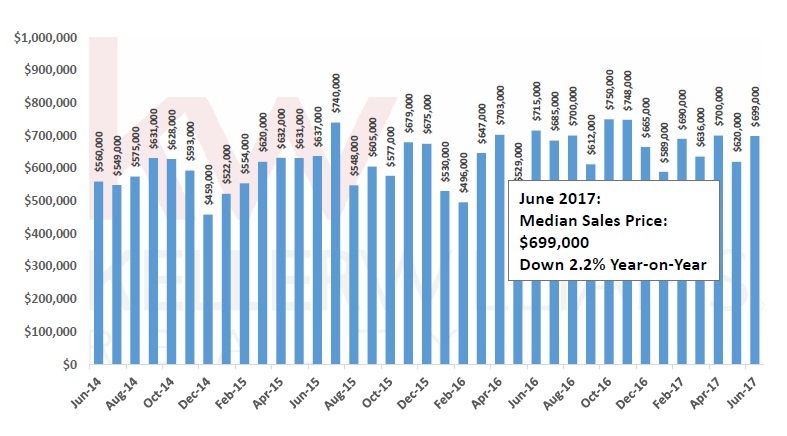 Condos/townhomes median sales price came back up in June to $699,000, just off this year’s peak in April but still below last year’s all time high in October of $750,000. 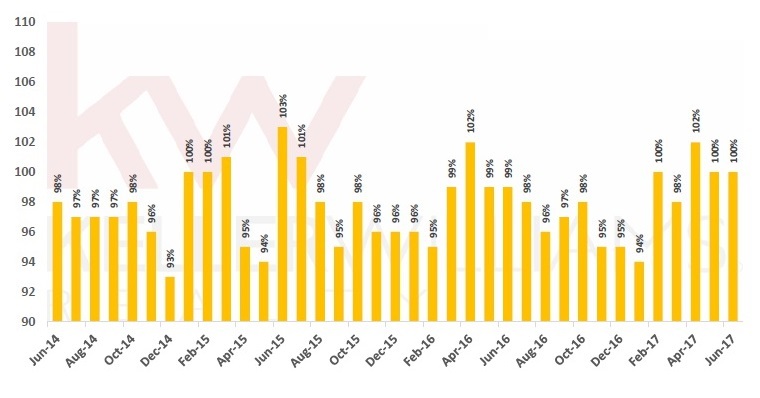 The median bid was 97%, well below last June’s 102% of list price bid. The number of new single family home listings coming on the market this year continues to be down from 2016. 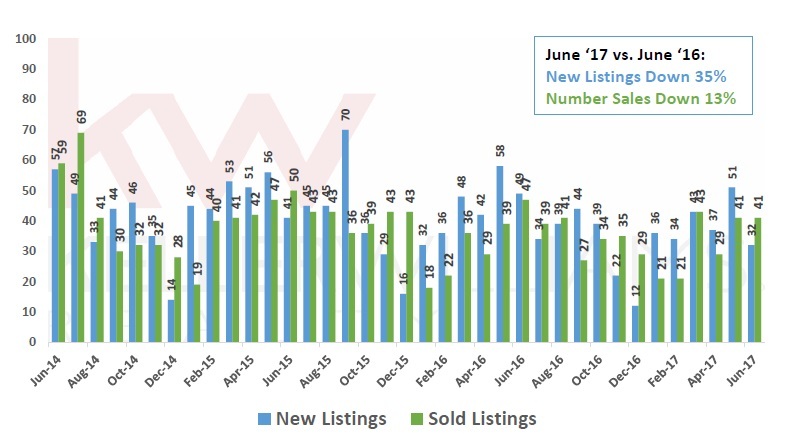 In June 2017, they were 21% fewer new listings compared to June 2016. Year-to-date, they are down 8.2%. This sustained decline in new listings, coupled with a 3.6% increase year-to-date in the number of home sales, has led to an inventory of only 1.4 months. 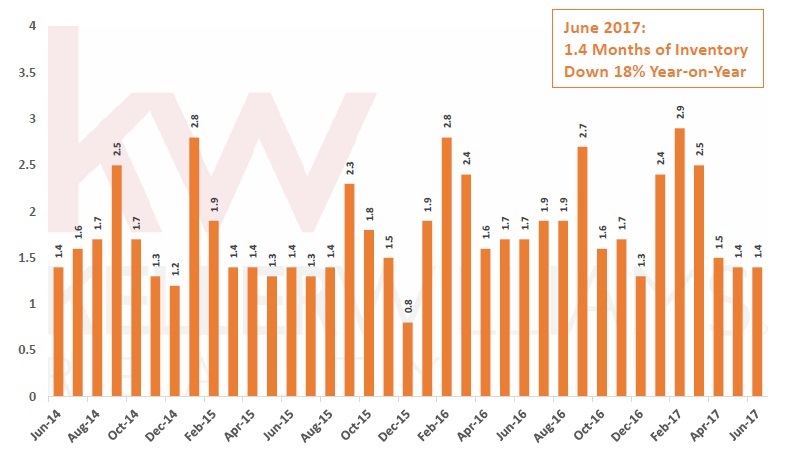 Likewise, there were 35% fewer new condos/townhomes coming on the market this June than last. 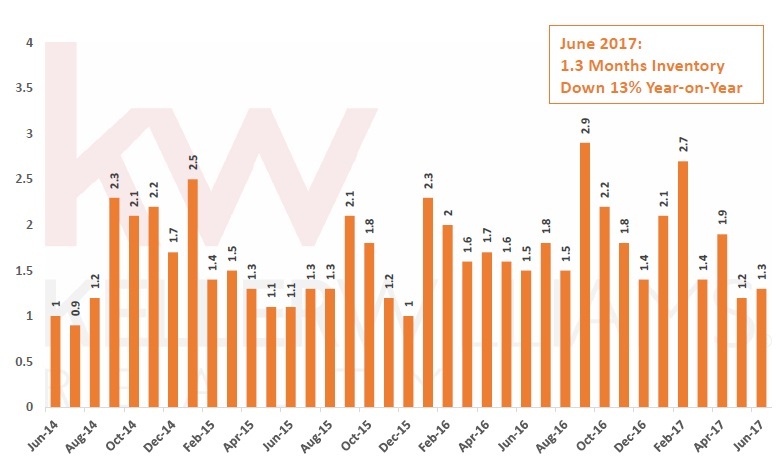 Year-to-date, there are 15% fewer new listings than in 2016. Sales are also off pace, with 13% fewer sales. Inventory stands at just 1.3 months.